Parlons un peu des ingrédients : que mettez-vous exactement sur votre peau ? Examining the Ingredients: So, What Exactly Are You Putting on Your Skin? Êtes-vous concerné(e) par les problèmes de pigmentation ? Découvrez comment résoudre vos problèmes de pigmentation! Are Pigment Issues Plaguing You? Check Out Ways to Tackle Your Pigment Problem! Offrez une peau radieuse en cadeau en suivant notre guide des 5 plus beaux cadeaux ! Give the Gift of Gorgeous Skin with Our Top 5 Gift Guide! Quel est le peeling chimique adapté à ma peau ? 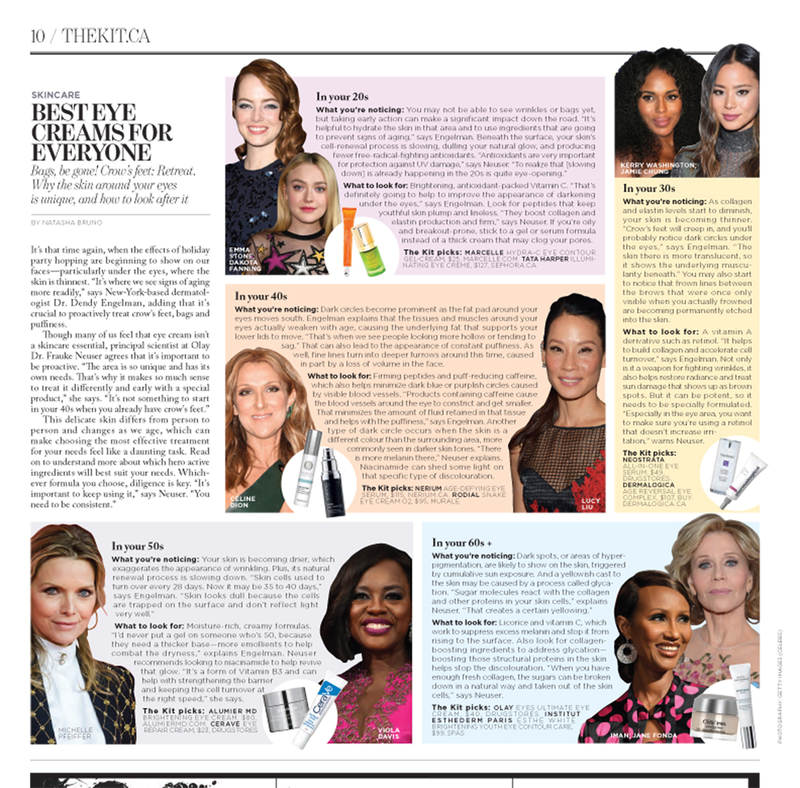 AlumierMD’s Hydra Clarite Moisturizer and AluminEye were featured in the July issue of Elegant Magazine. A lightweight, hydrating serum that combines moisturizing and anti-aging ingredients to reduce the signs of aging for all skin types. The Luxe Spring 2017 features AlumierMD’s Clear Shield Sunscreen. Free of parabins, sulfates and dyes, this light quick drying sunscreen is ideal for sensitive skin and acne-prone skin. It is no wonder many of us approach retinoids with trepidation. Canadian Living – What’s your ultimate skin goal? AlumierMD Retinol Resurfacing Serum 1.0 uses microencapsulation retinol (acting like a shuttle to carry and release retinoids into skin cells). Get Your Skin Red Carpet Ready! The Alumier MD Moisture Matte Sunscreen is available in ivory, sand and amber. This sunscreen absorbs excess oil to create a matte finish. 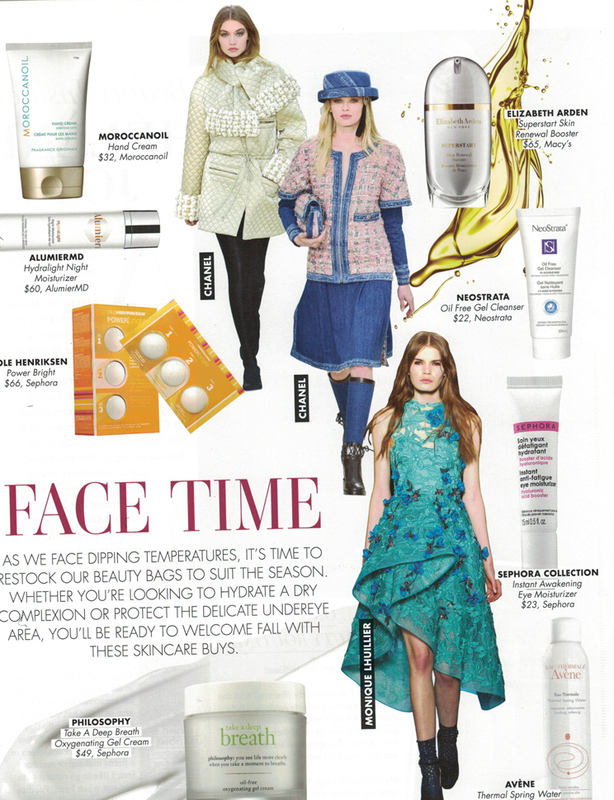 Sensitive Skin feature showcasing AlumierMD SensiCalm Cleanser which helps treat vulnerable skin. 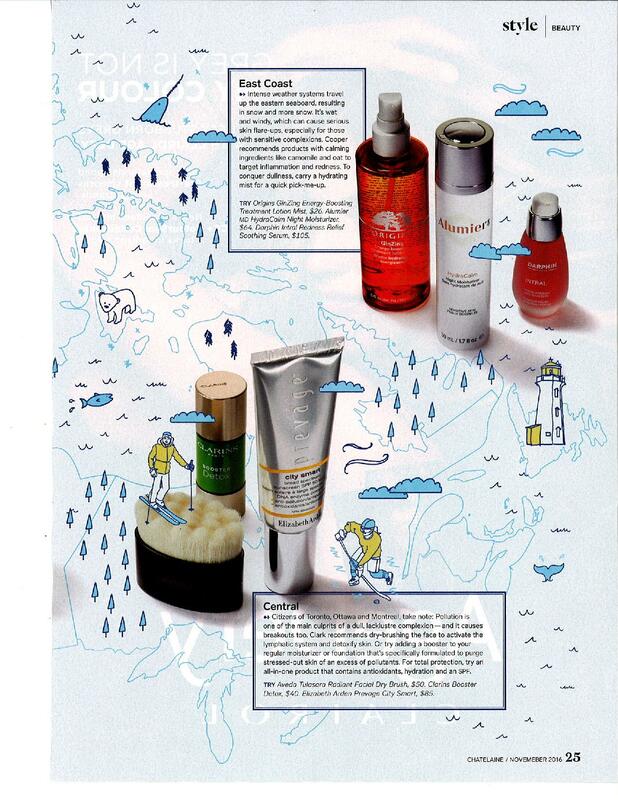 AlumierMD’s AluminEye is featured in this month’s Elle Canada Magazine. Fall issue of Real Style Magazine featured Alumier MD’s Hydralight Night Moisturizer. Amanpreet talks about the Alumier MD Retinol Eye Gel in this months Elevate Magazine. AlumierMD is sold exclusively through professionals. You want healthy, glowing skin, and our highly educated AlumierMD professionals will guide you there. Let us introduce you to a skincare expert in your area - you will thank us later!